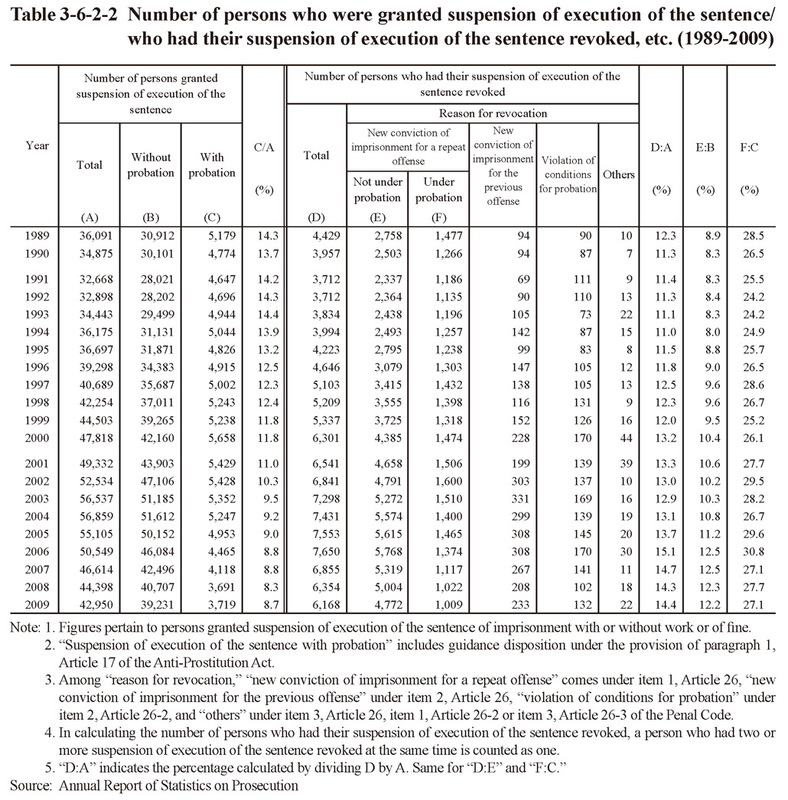 Table 3-6-2-2 shows the number of persons who were granted suspension of execution of the sentence with or without probation and the number of persons who had their suspension of execution of the sentence revoked by reason for revocation from 1989 on. 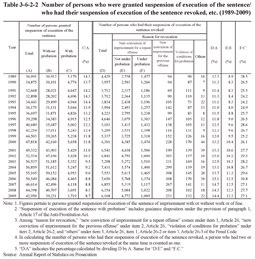 The number of persons who had their suspension of execution of the sentence revoked for new convictions of imprisonment or heavier punishment without suspension of execution of the sentence for a repeat offense was on an increasing trend from 1989 and was 5,781 in 2009 (93.7% of those who had their suspension of execution of the sentence revoked). The percentage of that number in 2009 to number of persons granted suspension of execution of the sentence in the same year was 13.5%.